Hello everybody from sunny Saskat-chewan. I have a 2000 GMC C6500 topkick (former U-hauler) and I would like to lock my fuel tank (60 gal - gasoline | 7.4l V8) away from prying hoses. I'm going to drill and tap the cap, and put in an allen-key set screw but I'd prefer a regular keyed arrangement. Any comments on this topic, preferably with a locking cap solution? The only locking caps I see around have a male thread - my truck requires a cap with female threads. Thanks in advance, Keep On Truckin'! I have over 2,200 miles on my truck and really like it. A few minor issues: My gas gauge hits E and low fuel light comes on after consuming 21 gallons. So, I have over 5 gallons and approx. 100 miles left before running out. This is about 2 gallons too early IMO. Is anyone else experiencing this? Also, I have a few times where the indicator lights don't come on my heated seat buttons. The seats still heat up, just no lights. After adjusting the volume from the steering wheel, the volume graphic will sometimes stay on the display in the dash. After remote starting, I will enter the cab and after hitting the start button, a warning will appear on the display: "Service Steering Column Lock". I'll hit the check mark to dismiss and it goes away. I hope they come up with fixes for these items. Thanks. I stumbled upon a local BP Gas station here in the KC area that sells a 100% No Ethanol Fuel (93 octane). It is $.20 per gallon more than the 93 octane with 10% Ethanol. I thought I would try a couple of tanks out to see if MPGs would further increase. Anyone out there have a similar option in their area that can chime in on results good or bad? Hey guys, been searching but haven't found a simple way to look this up. I have a 2008 Silverado 2500 HD 6.0 Gas, extended cab, 8 foot bed, I am reasonably sure its a 3.73 axle ratio and it has the towing package. The truck has almost 180k on it and the rear diff cover is leaking (seeping through). What I want to get is: http://www.taperformance.com/proddetail.asp?prod=TA_1803 Has one on my old truck, its a nice piece. However I see that they only make it for a 9.5" ring gear. I see that my truck could be 9.5, 10.5, or 11.5. How do I go about identifying it? Hey guys, I was curious to hear what you all have done on your truck for better gas mileage and what you think the best grade of gas is to use for gas mileage. 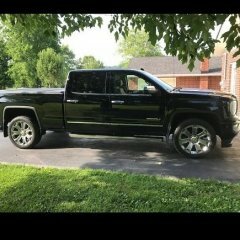 I have a 2017 Silverado custom and get about 19 average. Anyone running E15 88 Octane Gas? I have a 2004 Subura Impreza.All of a sudden it takes almost 10 minutes or so to pump $10.00 into it.I need help with this.I just had a new gas tank put in etc. Can somebody give me advice on how to fix this? Thank you. 2014 Silverado fuel smell in cabin/engine bay. Good morning everyone, This is my first post ever, and the first time I have "started a thread." 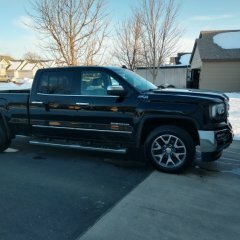 I am reaching out because I am having an issue with my 14 Silverado All Star edition, and I just dropped It off at the Dealer I bought it from today. This truck is my first Domestic purchase over the past 20 years since I started driving. I have always had Foreign, mostly German cars, and I have been working in Dealerships basically since I was in High School. I also have never worked for a Domestic manufacturer, maybe that's why this is the first Domestic product I have bought. Everything started about a week ago when I got into my truck to leave work and I immediately noticed a strong gas/fuel smell in the cabin. At first I thought it was a car in front or behind me, maybe even the area I was in, but the smell was there for the entire 30 minute ride home. Over the next few days the same thing happened several times. 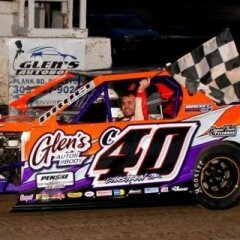 Over the past weekend I popped the hood and it was like a punch in the face! The fuel smell was definitely coming from the engine bay, and right into the cabin. I tried putting the A/C on, rolling down the windows, and shutting off the outside air. Didn't make much of a difference, still too strong to drive around. After talking to a few of my Techs at my store, and other people in the Automotive industry, I found someone at a Chevy Dealer that told me there was an "Internal Bulletin" from the manufacturer that said there could be some 2014 models with a this concern. The bulletin has not gone public as of right now so not many people have heard of it. Even the Chevy store across the street from my store had no clue. But luckily I found someone at the Dealer I bought the truck from that actually cared enough to do 60 seconds worth of research. I have heard stories of injector seals not seated correctly and fuel is actually coming out from there, also maybe the fuel pump on the motor has a leak, but not sure yet. Hopefully I will hear soon as to what the Dealer found so I can get my truck back and not have to drive a Chevy Cruz that barely fits two people comfortably. So I am wondering if anyone has had any experience with this... And if anyone is interested I can keep you posted as my situation progresses. Which year Sierra 1500 to buy used? All, I am looking into getting a 2006 Silverado 2500HD 2wd LT with the 6.0. It's a Single cab long bed work truck. I pulled the VIN info and found that it has always been in Tucson and Cali. The truck has no rust (as to be expected). The only noticable problem is the Oil Pressure Sensor seems to be dead, (easy $50 fix). Anyhow, I have never worked with or on a 2500 before, and would like to know what I should look for before purcasing the truck. Also, what do you all think is a good price for a truck like this? I am gonna be using this truck for slight hauling and pretty much daily driving. What programmer is better for fuel economy? From what I've seen bullydog has a better MPG increase but I've also seen that you have to run 91 octane. Is that true? I've always had a diesel before this so i don't know much about the gas tuners so really I'm just wondering what you guys think is the better buy and why. Thanks!! Silverado PO449 Check Engine Help!! Hello, I have a 2015 Chevy Silverado 1500LT 5.3L V8 Midnight Edition. Can someone explain to me the proper usage of 4WD? I haven't had to turn it on until today when the snow was bad. The problems I experienced were that the truck would basically not work in reverse with 4WDHI engaged. When I was backing out of my driveway with 4WDHI engaged, I would press on the accelerator and it would move somewhat, though really slowly and it didn't seem correct. This was the first time I had really used 4x4 on this truck so I didn't think anything of it. Well after driving an hour to work with 4x4HI engaged, through backroads and highway, I had to back into my parking spot and it wouldn't do it. I pulled up and put it in reverse and cut the wheel and it didn't really go anywhere proportionate to the amount of gas I was giving it. So I switched it to 2WD and it worked like a charm. I doubt something is wrong with the truck so I'm hoping someone can explain to me how this is to be properly used and what the desired functionality is. If it's not good to shift the drive in motion, I'm expected to change it to 2WD whenever I want to reverse? What if the lot wasn't plowed and snow was so thick I really needed the 4WD to reverse? Any help would be appreciated thanks. Water drip from Magnaflow cat-back system muffler - Help! So, a couple months back I installed the Magnaflow cat-back, single in/dual out, exhaust system on my 2015 2500HD 6.0L Sierra (see some info/pics on the install and outcome below). 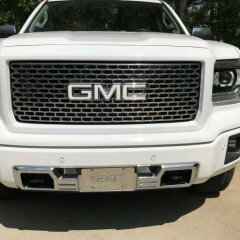 http://www.gm-trucks.com/forums/topic/171270-2015-60-muffler/page-2?do=findComment&comment=1673626 Truly I am quite happy with it. Got a great deal online, sounds great, was able to install it myself with no major issues, got the dual tips perfectly aligned, etc... Fast forward about 2,000 miles. Still love it, however after moving it in my driveway I recently noticed a 3rd wet spot underneath my truck about the same size/shape/color as what had resulted in water dripping from the exhaust tips. So, I got underneath and noticed that some water was dripping from both outlet ports from the muffler. Now, the drips on each side are coming from where you clamp the rear pipes to the muffler outlets. Worth mentioning: periodically since installing, I have gotten back under the truck and checked every nut and bolt for loosening and re-tightened where necessary. There was some very slightly that tightened more after about 50-100 miles but absolutely none since then. Also worth mentioning: the outlet ports on the rear of the muffler are basically exhaust pipe diameter and stick out roughly 1", which is what you connect the exhaust pipe to, and clamp down on. The 1" that sticks out obviously is not a perfect tube; the welding imperfections stick out 1/4"-1/2". I did not want to clamp the exhaust pipe down to only half, or the tip, of the outlet port, so it is partially clamped down over welded material. I believe this is obviously why there is some water leaking, but I saw no way to avoid this. I found the point where I thought the pipe was clamped on just enough to be as solid as possible, which meant MAYBE a few mm's of weld bumps, and tightened the hell out of it. My question: how big of a problem is this small water leak, does it largely effect backpressure, performance, etc.? I am not very knowledgeable on exhaust systems as my last one was done at a local shop, but the only solution I can see is taking it to a shop and having them weld those pieces together to eliminate this issue. At that point, might they as well weld each connection together? Anyone have any other suggestions? Any and all feedback or insight is appreciated. I am pretty sure I know what a shop will tell me to do, but hoping to get the real scoop here first! Thanks!!!! My gas Gage will randomly drop to below "E" Randomly then if bang the tank or somtimes even stomp my foot on the floor it will go back to normal, before i drop the tank i was wondering if anyone had any ideas what it could be ??? Not happy with the 26Gal gas tank need HELP! I would be thankful to anyone who could help me figure out how to get more fuel capacity on a 2015 Chevy 1500 4 door 6.6 box. I know the 2 door models had the option of a 34 gal tank but i having a very hard time finding anything for the truck I own. I tow a light camper and am usually with a family member with a motor home with a 1800 mile range so stopping every 250 or so miles is getting really annoying. Also yes I would have loved to get a 2500HD but it just didn't happen so im trying to make the best with what I have. What type gas do you use? 87? 89? 92? Hey All, Just curious what type gas so you all use for these trucks? I'm running 89 but I didn't know if these trucks perform better with one type over the other, any added performance or mpg boost with one? I want to see if I'm wasting the little extra I pay for 89 if 87 is the same thing. Auxiliary gas tank for better mileage? Hey guys, got any recommendations for auxiliary gas tanks that are decently priced? Or hell, ways to increase my mileage? I'm getting 11.5mpg right now in my 07 Sierra Classic 2500 with just over 116k and I've got an hour commute to work every day. She's a stock truck running the correct size Kumho Road Venture ATs. Is there any maintenance I should do? It seems like my only option right now is to either get a tank for the bed of the truck, a programmer or sell it and try to get a diesel...or one of them new 5.0 Fords since I hear they can get 20 lol.